Here, in one device, are high-headroom XMAX™ microphone preamplifiers, a built-in FireWire recording and playback interface, more than 90 signal processors, a big library of DSP effects, 6 aux buses, 4 subgroups, extensive LED metering, mixer save and recall, channel-strip save/recall/copy/paste, talkback, and more. 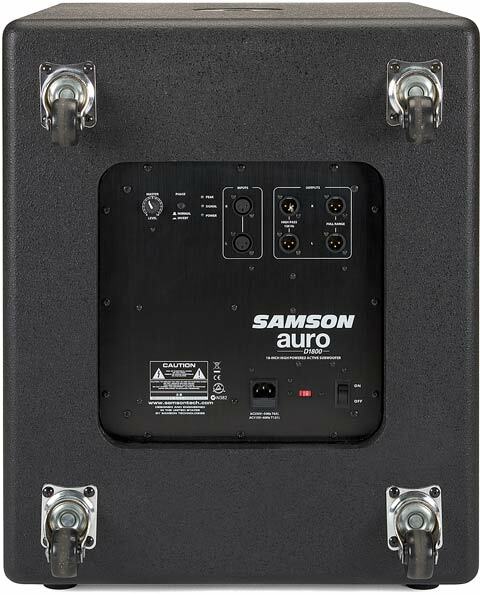 Yet despite its many controls and features, it's compact, rack-mountable, and easy to transport. Build live mixes that glisten with clarity and detail—then record and enhance the performance with the power of StudioLive 16.4.2. Get creative in the studio. 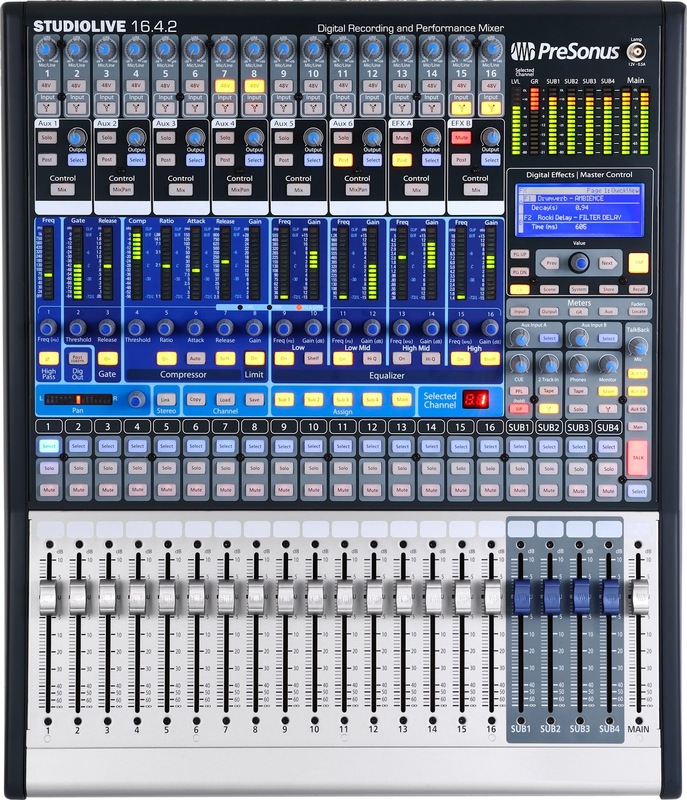 Build mixes, loops, sound effects, and more, then bring them out to your show and mix them with the live performance. 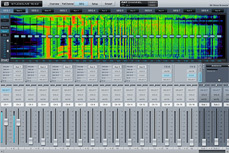 Process channels using your favorite plug-ins and completely automate your entire performance. StudioLive 16.4.2 revolutionizes music production, opening endless creative possibilities. You can say goodbye to that problem if you use a 16.4.2 and an Apple iPad®! With StudioLive Remote for iPad—available free from the Apple App Store—you have complete, real-time, wireless remote control over Virtual StudioLive, which in turn offers real-time control over the StudioLive mixer. As long as you have a wireless connection between your iPad and computer (and are connected via FireWire to the 16.4.2), you are in control of the console. StudioLive Remote is easy to use, provides control of almost every feature of the StudioLive, and looks and feels like an iPad app should. 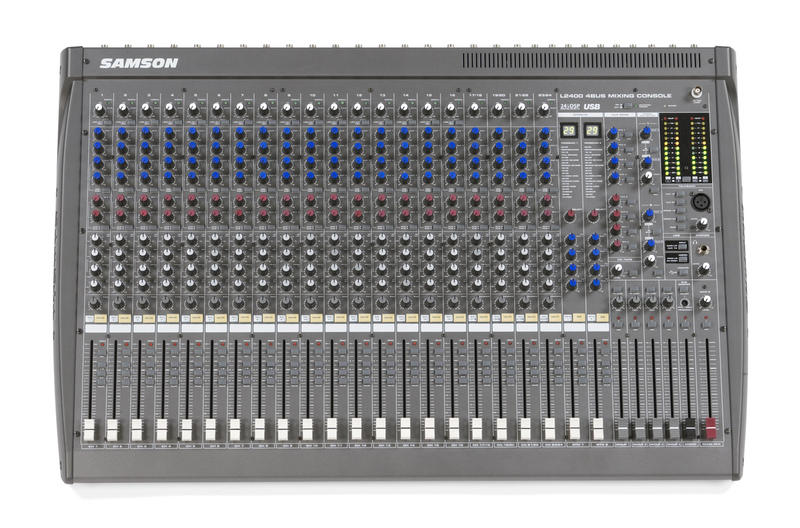 If you have a computer with 6-pin FireWire, you have a 32-track digital recorder instantly ready to capture your gig, church service, or presentation. 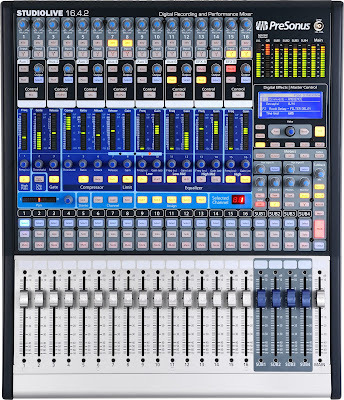 That’s because StudioLive 16.4.2 features a tightly integrated FireWire interface that delivers up to 32 channels of recording and up to 18 channels of simultaneous playback. Each FireWire recording channel can be set to record either pre- or post-Fat Channel signal processing, delivering total flexibility and power. Just two mouse clicks engages Capture™ recording software. 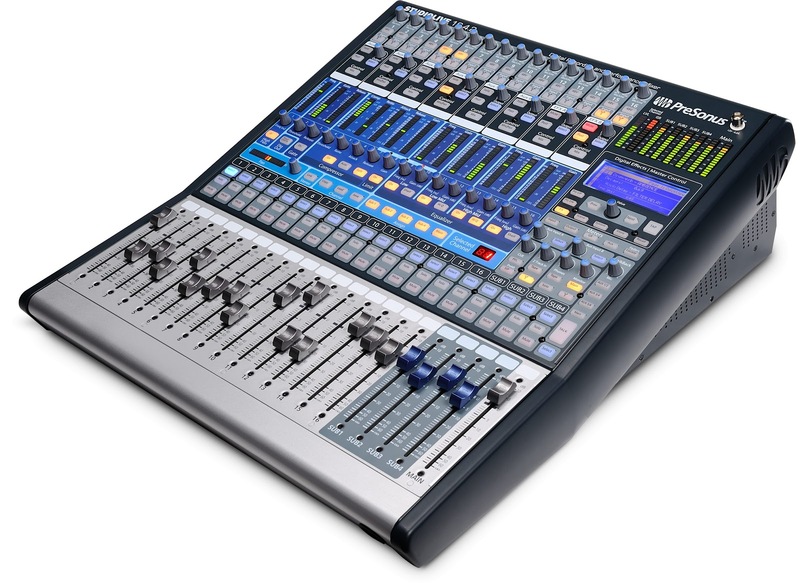 When you install it on your laptop, it automatically “maps” to the outputs of the 16.4.2 to automatically record all 16 input channels—or 32 channels if you’ve chained two StudioLive 16.4.2s. Studio One changes the rules of the game with fresh code, innovative drag-and-drop features, advanced MIDI mapping, auto-configuration with your StudioLive 16.4.2, insanely good audio quality, unlimited tracks and plug-ins per track, and a powerful, inventive Start page. Studio One Artist also comes with a Native Effects™ 32-bit effects library, complete with dynamics processors, reverbs, modulation effects, amp simulators, and more. And with Studio One's Nimbit® extension, you can immediately start selling your music. Your mixing and recording needs aren't necessarily exactly the same as everyone else's. 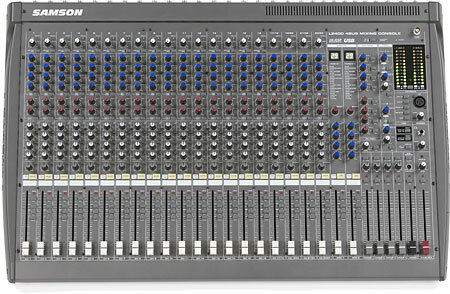 That's why we created a StudioLive family of digital mixers, starting with the StudioLive 16.0.2, 16.4.2, and 24.4.2. Pearl is introducing a new Limited Edition VBA drumset exclusively for Indonesia. 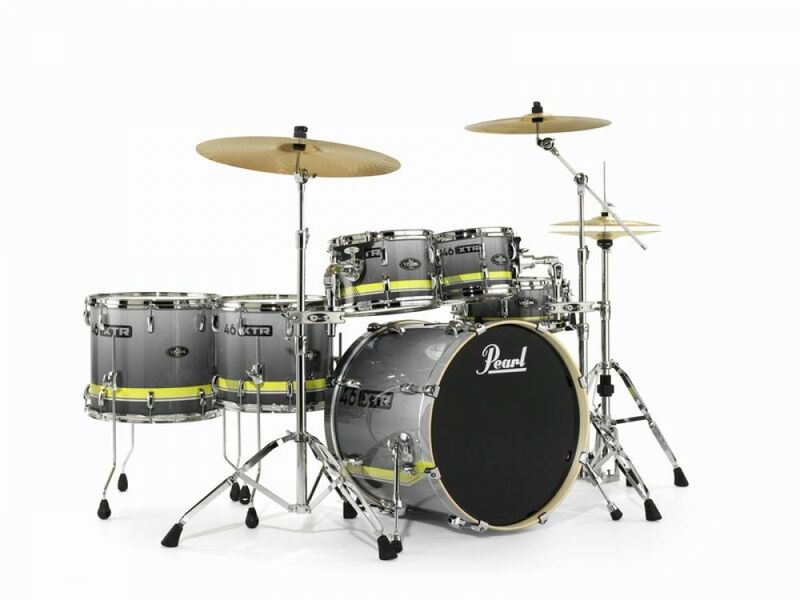 Vision VBA delivers full Pearl Birch quality in Artisan II finishes you’ll have to see to believe. The shells are made of 6-ply birch, creating a nice low-end sound and adapting the higher frequencies slightly. 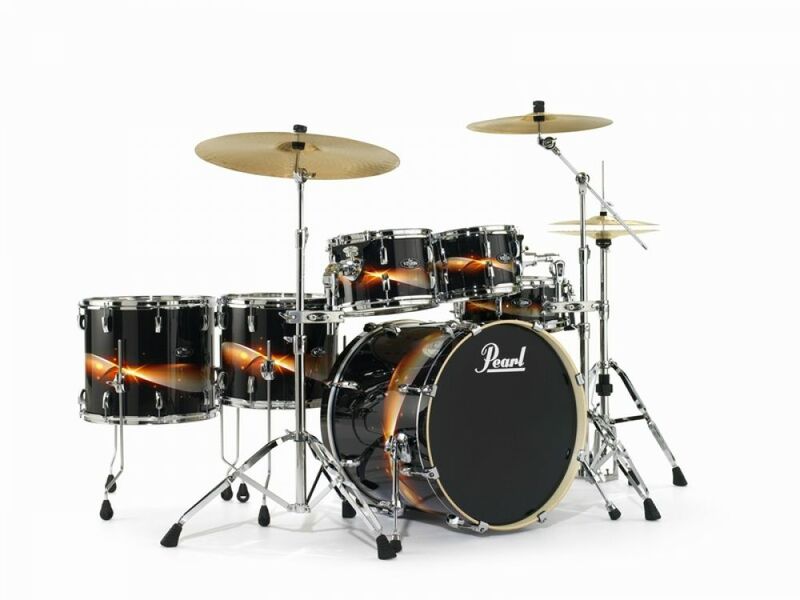 This VBA drumset is equipped with a special designed Artisan II finish by Pearl. 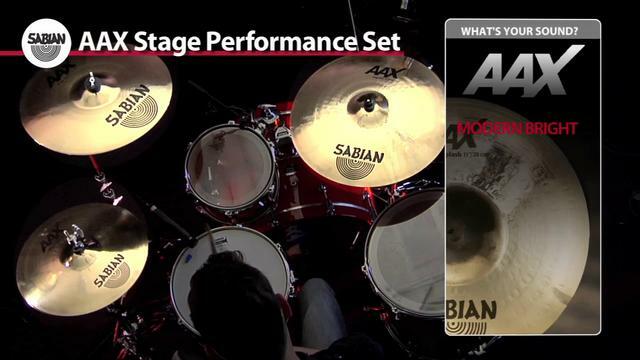 The set comes with a 22x18 undrilled Bassdrum, 10x7” and 12x8” Toms, 14x12” and 16x14” Floor toms and a matching Birchply Snare drum. 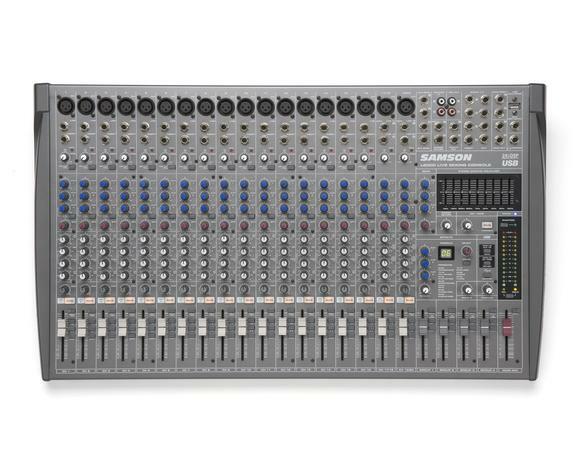 All will be complemented with our 890-Series Hardware Pack. Korg DTR-2000 - The Digital Rack Mount Tuner Packed with Essential Features! Korg, the instrument experts who created the world's first rack mountable tuners, now announces the new Korg DTR-2000, a rack tuner and must-have item for the professional musician, packed with all the essential features needed for a pro-guitar performance. Three types of display: "cents", "hertz", and "strobe"
The DTR-2000 is a rack mount tuner that has been redesigned for even clearer visibility from a distance when you're on stage. The LED tuning indicator moves as smoothly as a needle. The brightness increases as you approach the correct pitch, and a blue LED will light in the center when you reach the exact tuning, for unmistakable confirmation. There's a large sixteen-segment note display, and the DTR-2000 features a string indicator in addition to the note display when GUITAR/BASS modes are used. In addition to the conventional indication in "cent" units, the Korg DTR-2000 also displays the detected pitch in "hertz", allowing twice the sensitivity of the "cent" display for even more precise tuning. You can also use a "strobe" display that indicates the difference between the input sound and the correct pitch by the left/right movement of a light. You can select either "cent" or "strobe" display for tuning. The DTR-2000 also provides a white LED lamp that points downward, illuminating any equipment placed below the DTR-2000 in a rack. The DTR-2000 provides a Chromatic mode in which the note name is detected automatically, as well as Guitar (with support for 6-string and 7-string guitars), Bass, and Open Tuning modes, in which you specify the note name that will be detected. 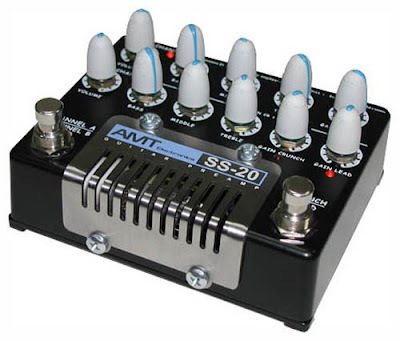 Open tunings frequently used for slide guitar or finger picking styles are supported in this rack tuner, including open D/E/G/A, as well as the popular DADGAD tuning. The Korg DTR-2000 also supports the flatted tunings used to give the sound greater depth. The seven-semitone flatted tuning mode provides for dropped tunings all the way from one-semitone down to a maximum of seven-semitones below standard pitch- a worldwide first! Two semitones lower than the five-semitone flatted tuning supported by Korg's previous guitar tuner. In addition to visual tuning using the meter, this rack tuner provides a Sound Out mode that allows you to tune while hearing a reference pitch in the range of C2-C5. This reference pitch can be output from your amp, allowing all band members to check their tuning as well. The DTR-2000 provides INPUT 1 and 2 jacks that allow two devices to be connected for tuning. In addition to a Mute jack that is convenient for on-stage tuning, a latch-type (alternating) foot switch can be connected to conveniently switch muting on/off. INPUT1 and MUTE jacks are also provided on the front panel for easy access. A microphone is also included in the front panel, allowing acoustic guitars to be tuned. 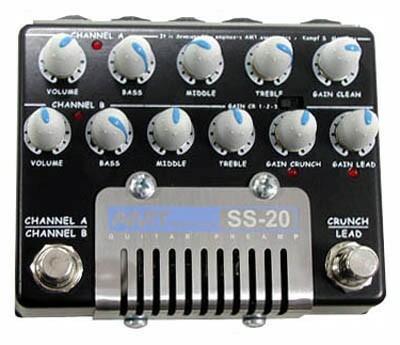 The rear panel of this rack tuner provides INPUT1, INPUT2, SOUND OUT, OUTPUT, and MUTE jacks. Sabian AAX Limited Edition Cymbal Package delivers pure, bright shimmering tones. Like stainless steel, AAX is cool, modern, and extremely efficient. 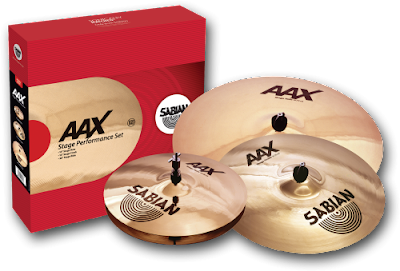 With its streamlined design and sound-shaping Auto-Focus Response feature, AAX is the ultimate breakthrough in modern cymbal making. Tap with your finger or thrash with a stick, Auto-Focus Response maximizes sensitivity, equalizes high & low pitch levels, and purifies sounds by filtering out conflicting overtones. AAX sounds are pure and accurate. 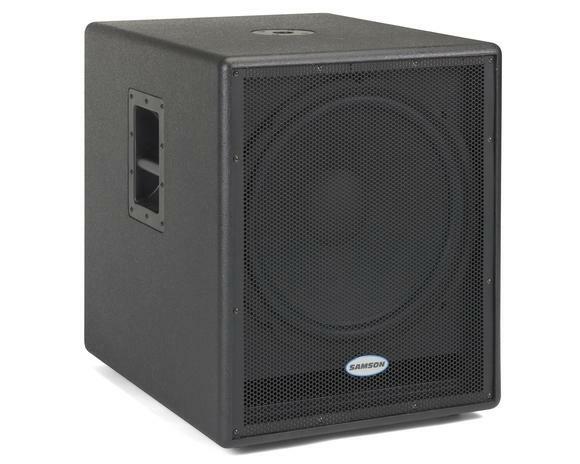 The AAX line offers perfect sound in the studio and onstage. AAX delivers the freedom to sound great in any music. 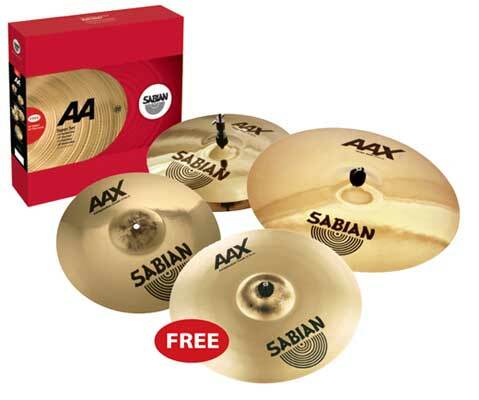 Free 18 inch Xplosion Crash cymbal.